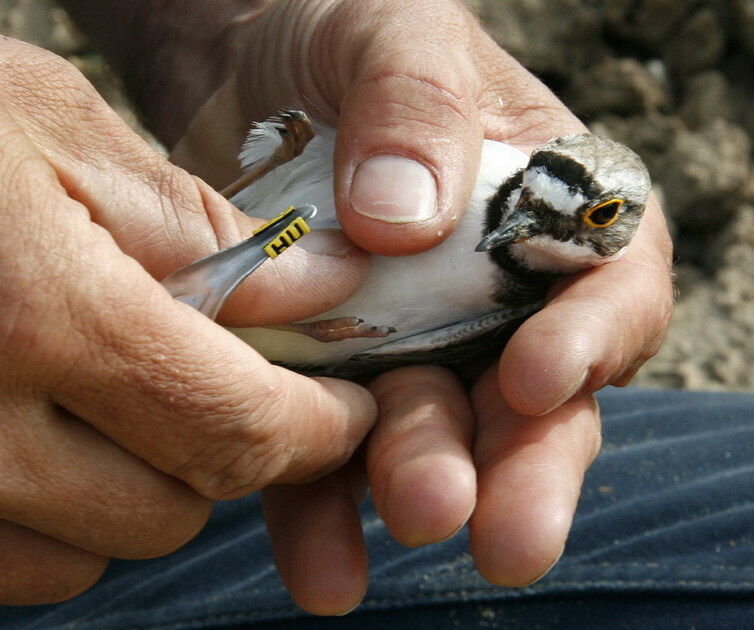 In 2001 in the context of the RAS-project I started colour ringing Little Ringed Plovers in the vicinity of Arnhem. At first only colour rings were given to adults and large nestlings. But because it is difficult to catch large nestlings, small nestlings are colour ringed as well. 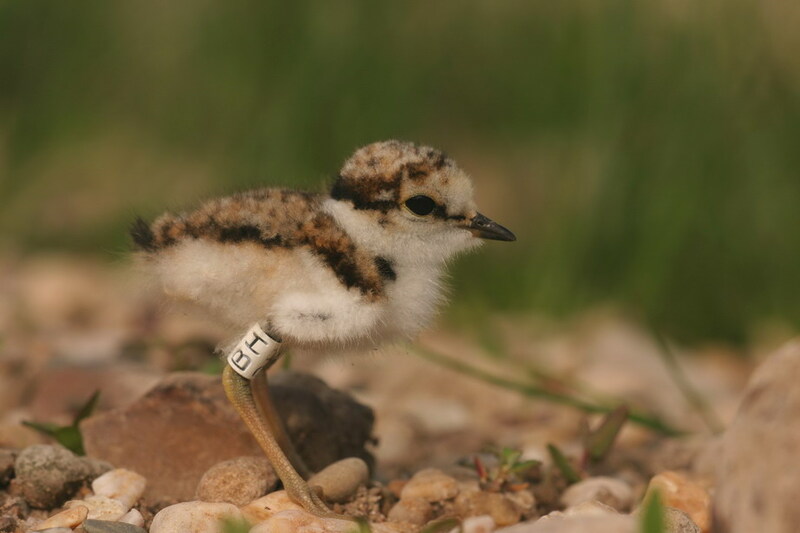 The number of birds ringed is dependent on the available time and number of breeding birds. 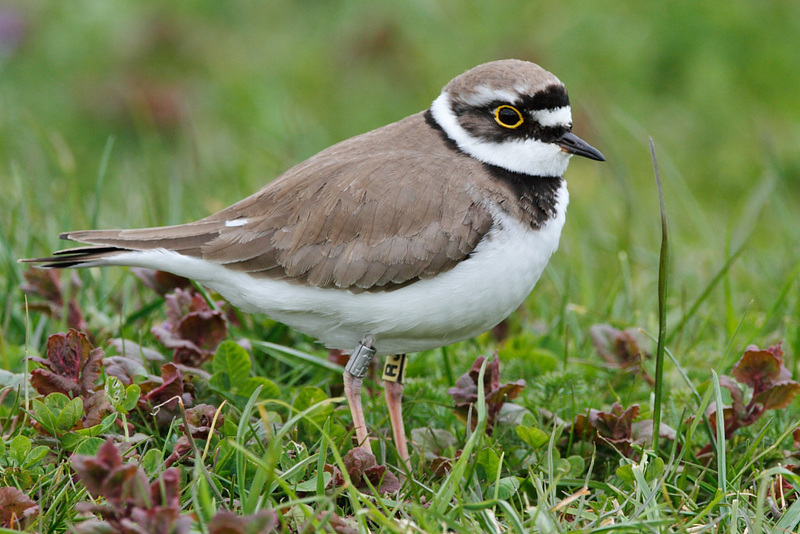 Little Ringed Plovers are very quick, similar to chicken, when a new habitat becomes available. Thus there were twenty pairs present at the sluice island Driel (nature development) and in 2005 fifteen pairs at de Schuytgraaf, Arnhem (urban expansion). In 2007 and 2008, using an additional ringer (Joost Valkenburg), more time is spent in a larger study area. Ringing site (green marker) and observations outside the study area during the breeding season (red marker) and outside the breeding season (blue marker) from Little Ringed Plovers ringed by me. © Google Maps: markers are clickable, zooming in and -out, and sliding is possible. The rings are on the tibiotarsus (tibia), the colour ring on one limb and the metal ring on the other limb. The colour ring is white, yellow, or green with 2 numbers and/or letters. The inscription is printed three times vertically on the ring and must be read from the bottom towards the top. With the exception of the green (and some white) rings. On the green rings, the code is printed horizontally on the ring, two letters above one another, from the top towards the bottom. Especially the adults are observed to return to the study area. We believe the young breed elsewhere. Most likely very far outside our study area. 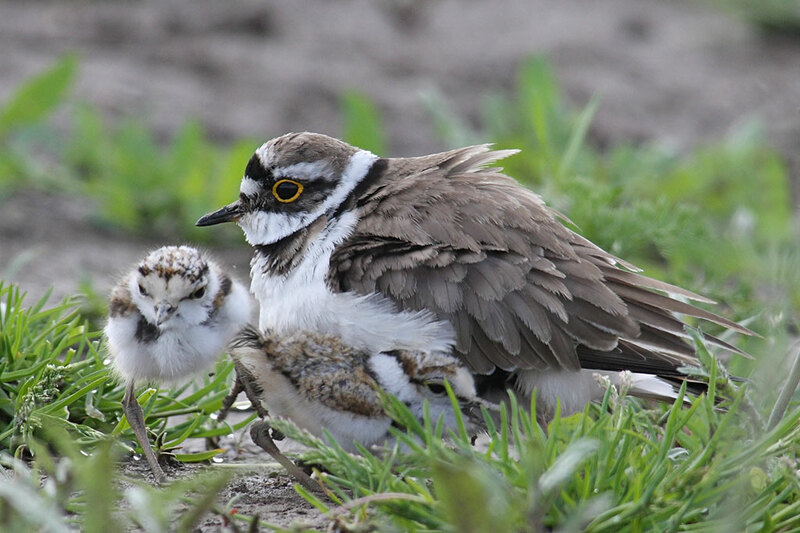 In April 2009 an as a nestling ringed Little Ringed Plover was read in Lauwersmeer. 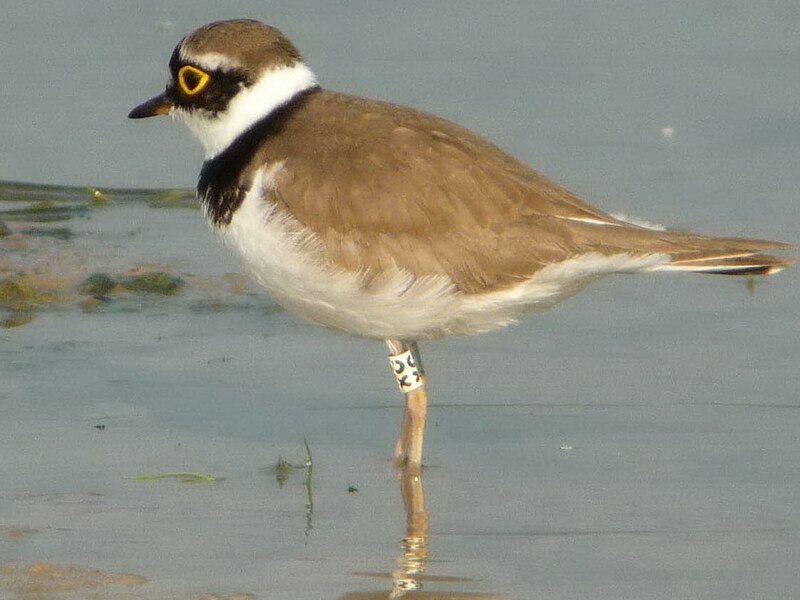 And in 2009 for third succesive year a Little Ringed Plover was read in Switserland ! This was an adult female which I had ringed on the nest in Driel in 2005. This bird now breeds here succesfully. Photo of the new breeding site in Switserland see below. A distance of well over 600 km! For young birds I had expected such behaviour... And in research elsewhere, such relocations have never been noticed at all. Until now there are two after summer observations from First Calender year birds which migrated towards the North as a sort of dispersal (Northern Groningen and along the river Eems in Germany). In addition to this, there are observations from France on adult migrants which travel through, one observation in autumn, and one in spring. We see birds which were ringed as adults back in the study area. We assume that the fledglings breed elsewhere. Possibly far outside our study area. 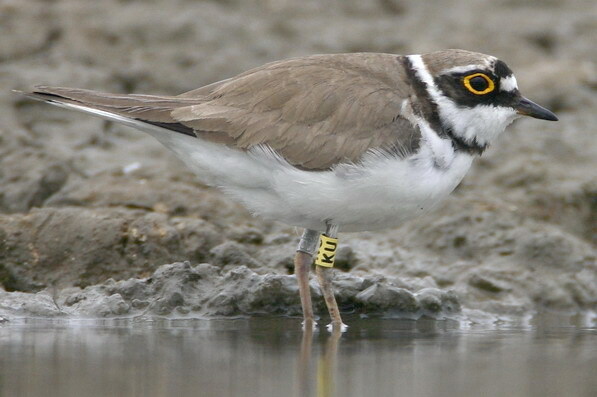 In Schleswig-Holstein (Northern-Germany) Hein & Reiser ringed a grand total of 6007 Little Ringed Plover (3686 as nestling and 2321 as adult) between the end of the sixties and early nineties. 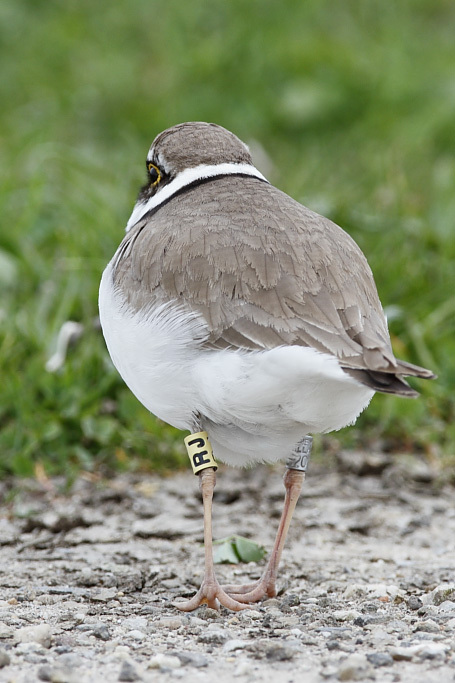 Throughout the years, 351 earlier ringed individuals were read as a breeding bird or recaptured. 83% of these show site fidelity. The adults which move to another breeding site were most often forced to do so. These re-locations were on average 15 km, most often not further away than the most suitable breeding site. One outlier was a female which moved 136 km and is kept outside the analysis. Only 3.92% of the nestlings is later seen as breeding birds. 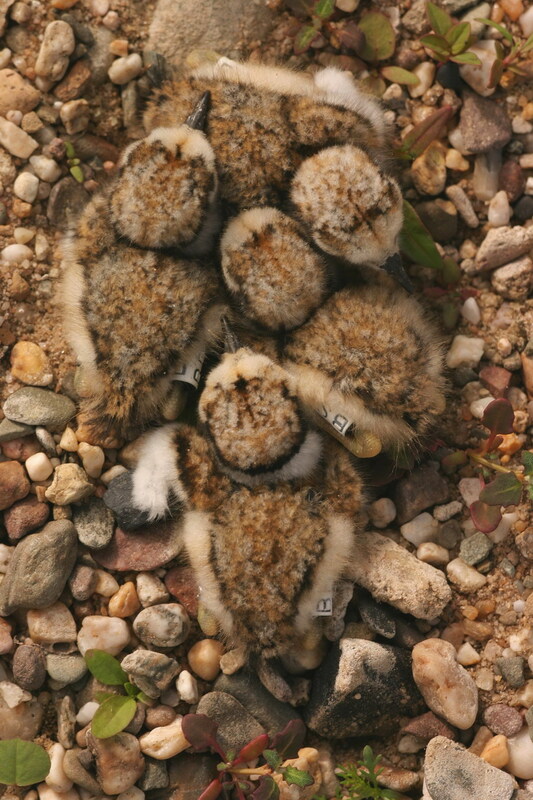 Of these nestlings the distance from the site of birth to the first breeding site is on average 21 km. The females made the largest movements (male on average 18.8 km and female 23.8 km). An outlier was a female which re-located 604 km and is kept outside this analysis. 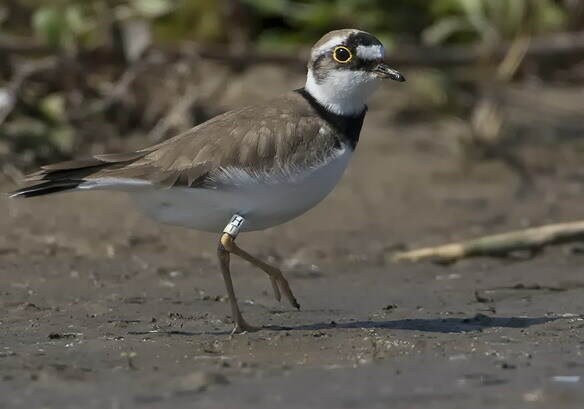 The oldest Little Ringed Plovers in this research were 11 (possibly 12-13) years old. For an extensive article see Corax 18 (2000).